Real properties are always a good investment. Be it a house and lot or a vacant lot, its value will continue to increase as the years goes by. But don't you know that you can buy a much cheaper real estate properties from banks? These are called foreclosed properties, like bankruptcy house or any other properties that being pulled by the bank. There are many banks in the Philippines that are selling foreclosed properties. One of these banks is the EastWest Bank that has many acquired properties for sale in their foreclosure auction. 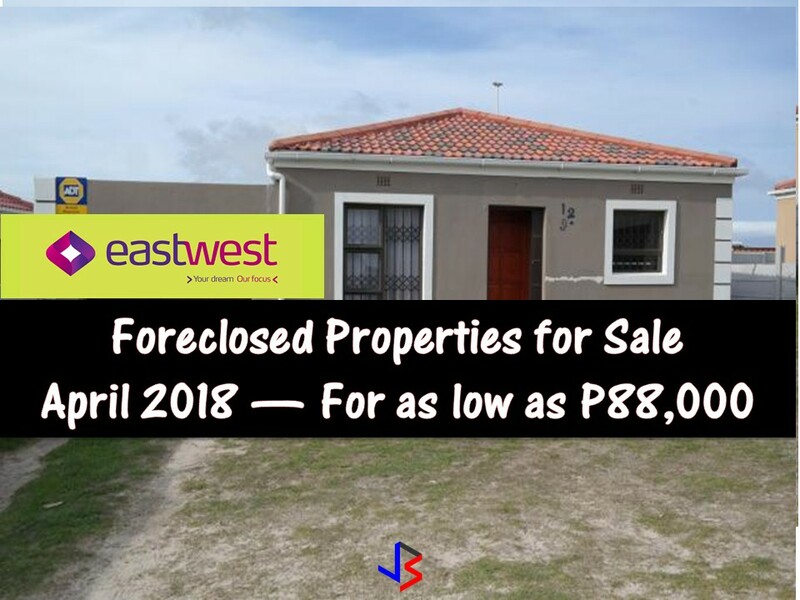 In real estate foreclosure listings below from EastWest Bank, can find foreclosed homes or house and lot, vacant lot and any other properties. If you are lucky enough, you may acquire one of this properties at a cheap price compared to those in the market!